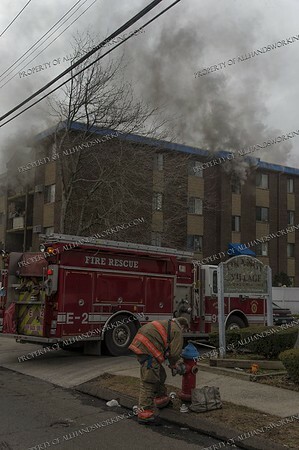 11/19/18 West Haven, CT - For the second day in a row West Haven firefighters fought a multi alarm apartment fire. 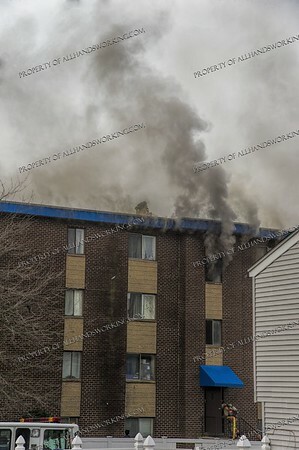 This fire was called in at 10:30 a.m. reporting an apartment fire on the third floor of the complex, in the Allingtown section of the city. Companies reported they could see it coming into the box. 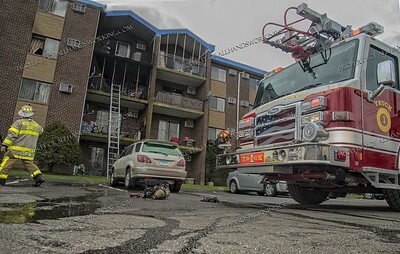 Once on scene companies were faced with an advanced fire in an apartment located on the third floor of a large OMD. An attempt to stretch off the standpipe was negated by an inoperable standpipe. Firefighters were forced to back out to the stairwell due to the delay in water. 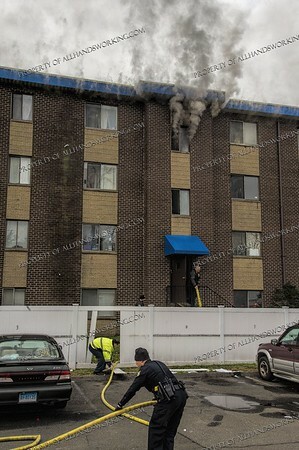 A second alarm was transmitted as additional resources stretched lines into the complex. Firefighters were then hampered by Collyers Mansion conditions in the fire apartment. 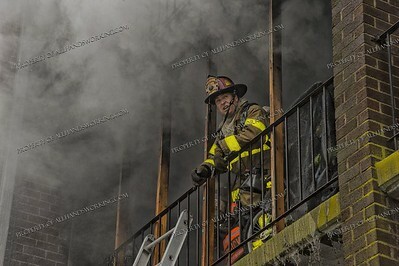 Truck companies conducted searches and reported three roofs built up during topside ventilation. The fire took about a half hour to knock down after all the obstacles were overcome. 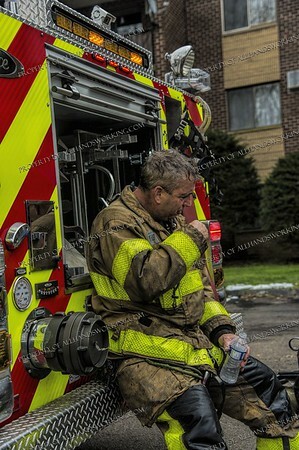 All occupants were accounted for, though several received smoke inhalation from evacuating their apartment. The cause of the fire is under investigation.